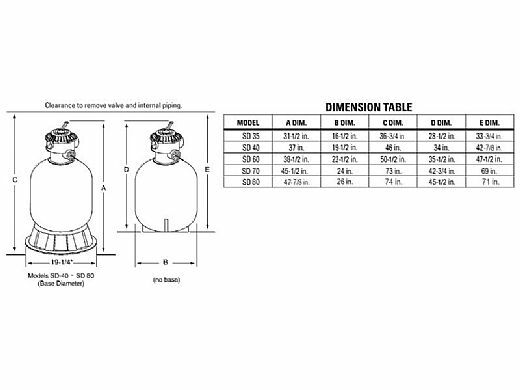 Please call us for lead time on this special order. 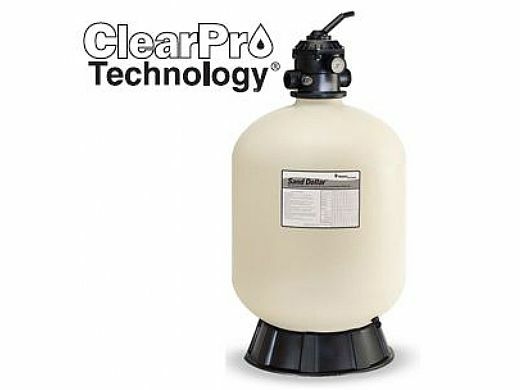 While traditional sand filters can only remove particles in the 50"100 micron range, Sand Dollar® sand filter with patented ClearPro Technology® removes particles five times smaller well below what your eye can detect. And thats the difference between a clean pool and one that truly sparkles. 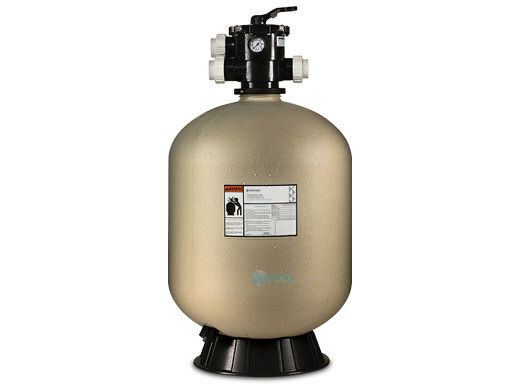 The secret is a proprietary component inside the filter"an exclusive porous tube that water must pass through before re entering your pool. It creates a final barrier to the small particles sand cannot stop, including the finest dust particles, algae and pollens. The result is a level of water clarity never before possible. 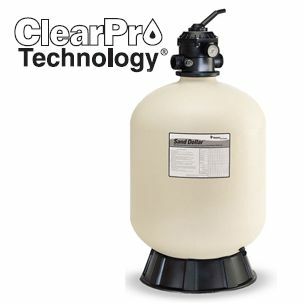 In fact, Sand Dollar with ClearPro Technology achieves the same level of clarity as legendary diatomaceous earth (D.E.) filters. My pool company recommended you. Does this system come with the black foot pedalstal? 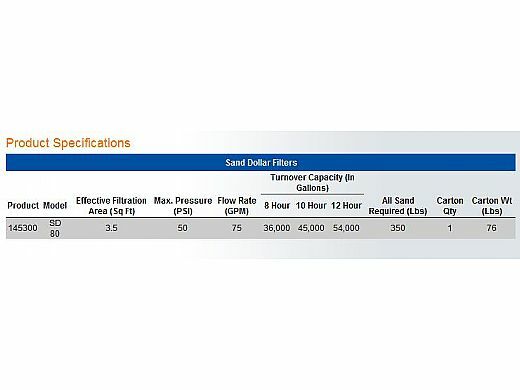 Does sand come with filter? Love my new filter! Cleans the pool in a few hours and run quietly on the back of the patio. Came in earlier than expected and at a great price. Can't complain at all.